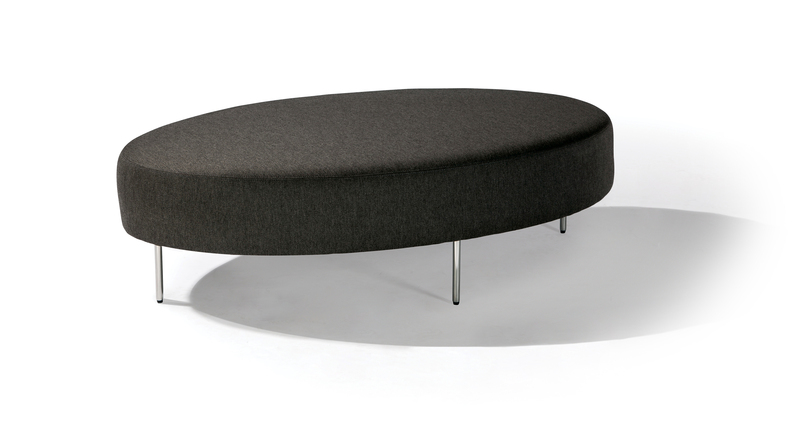 Designed to coordinate with our Slice line of sectional sofas, but versatile enough to match with other sofas and sectionals, the Slice table ottoman can be upholstered in any of our fabrics or leathers as well as COM. Three sizes of coordinating maple wood trays are also available in any of our TC wood finishes: oval (No. 1431-05), large (No. 1431-08) or small (No. 1431-07). Legs available in polished stainless steel or dark bronze finish.